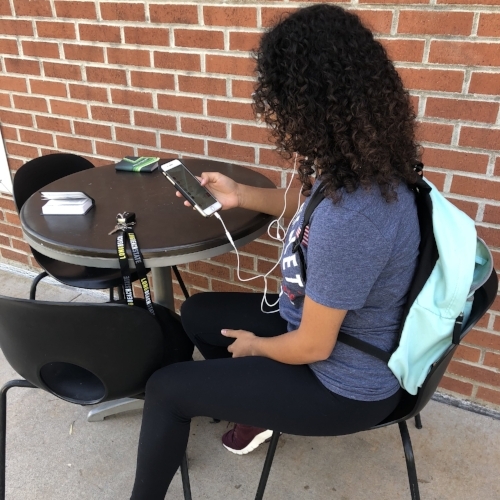 Whether they’re on their way to class, eating lunch or just taking a break in between classes, college students are always listening to music. With earphones in and your favorite music playing, it's easy to make a quick escape from reality and unwind for even just a moment. Take a look at what students at CSULB are listening to and maybe you’ll discover your next favorite song. “I’m Bad” - L.L. Cool J. “I like the flow because it's really aggressive, especially for L.L. Cool J.’s type of music. I like to listen to it when I work out or when I’m late to class because its my pump up song. “Hypnotize” - The Notorious B.I.G.